Below you will see the NYCFCI’s top three recommended designs for easy homemade winter shelters. These shelters call for very basic skills and tools, using affordable or free materials. 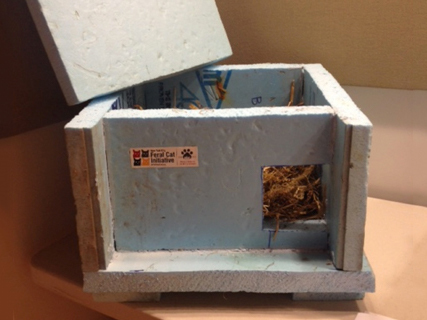 Additional designs for effective winter cat shelters are available online. Some can be made with very little skill and free or cheap materials, and others require basic carpentry skills, tools, and more elaborate materials. 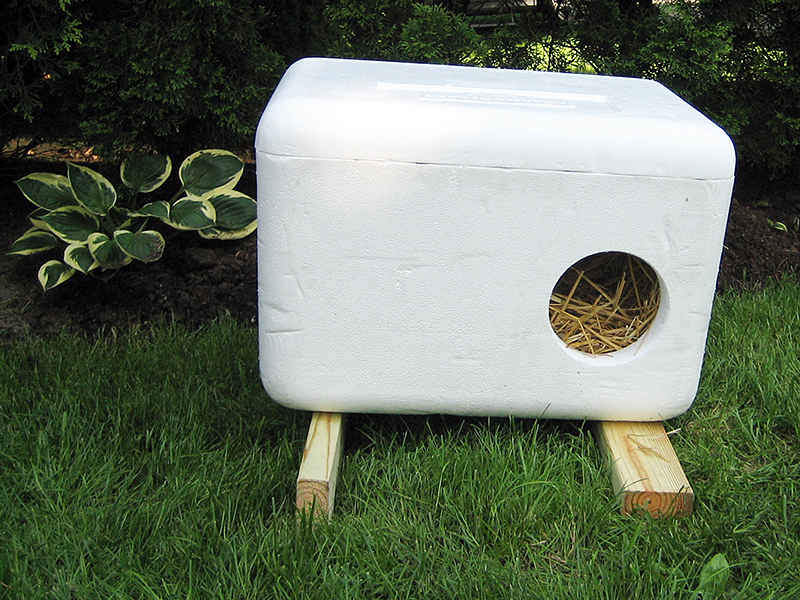 Ready-made shelters are also available for purchase from various sources in the New York City metro area; see the NYCFCI’s blog article, It’s Time to Prepare Winter Shelters for NYC’s Feral Cats. This box simply needs an entry hole and a few finishing touches. You can often get the boxes for free from a seafood or steak restaurant or butcher shop, or recycle your own shipping containers. The box itself is made of insulation and is waterproof, and the material is very easy to cut using an ordinary kitchen knife. 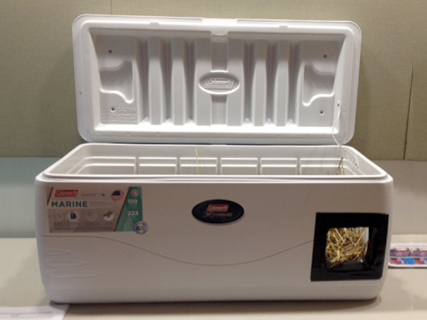 This shelter requires you to invest in a marine cooler, but it really pays off in the labor it saves you. Similar to the Super-Simple Winter Shelter, all you need to do is cut an entry hole and add a couple of finishing touches. The skill and tool level for cutting the hole is slightly higher than the Super-Simple Winter Shelter but still well within the reach of a beginner. This shelter requires more assembly than the box shelters, but you don’t need special skills or tools. This elegant, economical design features a built-in overhang and is raised off the ground. The boards are inexpensive and available at hardware stores.